From Wilder another top notch tutorial, this time clearly explaining chippings finishing techniques. A simple technique to depict heavily weathered metal & damaged paint effects - as seen in a dry desert environment - using Enamels & a blending stump laden with graphite. This is a series of the great video-tutorial focusing in all the aspects of painting and weathering WWII Japanese aircrafts. 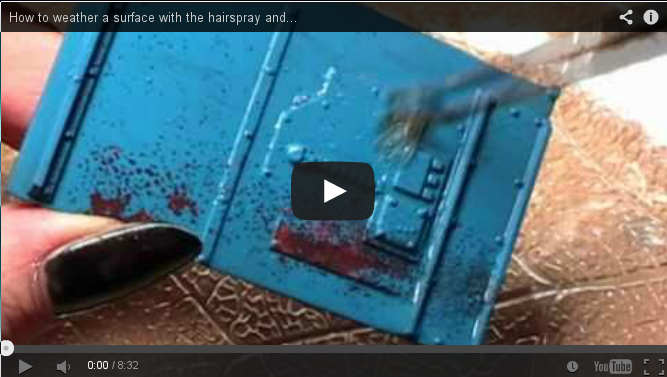 Quick video tutorial showing you the principle of hairspray chipping on a model base color (the technique is the same regardless the chipping fluid or hairspray used). Mig Jimenez show us a different way to reproduce the mud, this time using a chipping product: an interesting wariation on the subject. Carlos Mendes demonstrates the "2 layers chipping" technique, working on the Trumpeter Heuschrecke IVb model. 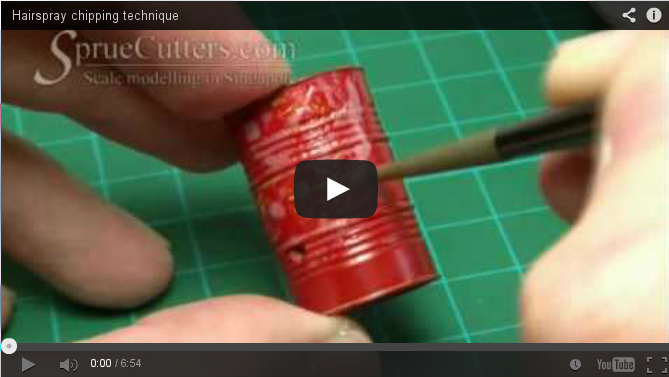 This classic mothod to make chippings on the models is still a great one, if used properly how this Video tutorial shows. The sponge method can be a powerful method in the modeler's arsenal, to reproduce irregular chippings, and in this VIDEO Tutorial we can see how. Hairspray gives wonderful results with the chippings. But some parts still requires the classic chipping with the paintbrush! 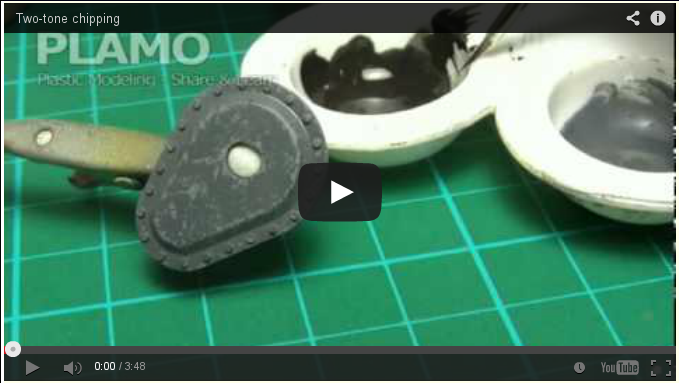 In this VIDEO Tutorial we will see how to apply them in the best way on an tank's wheel. This VIDEO Tutorial show us hot to paint and chipping properly a barrel, for the best possible results. 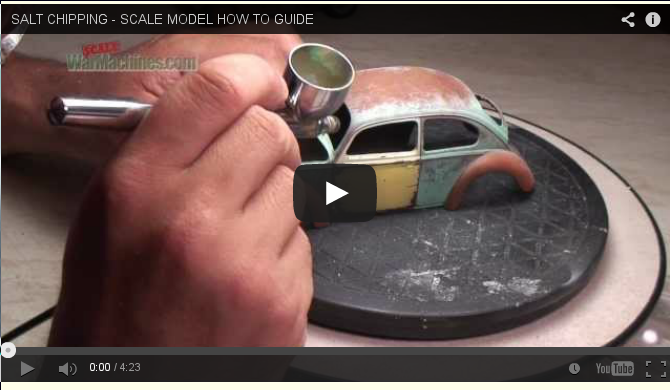 Curious about the salt method for chipping your model? A lovely Lady will show you all its secrets.